Alien Bee: Another New TV Spot For WRATH OF THE TITANS And It's Awesome! Another New TV Spot For WRATH OF THE TITANS And It's Awesome! 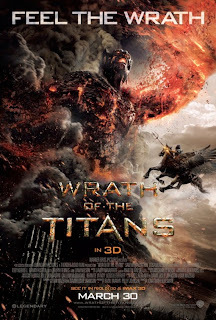 Here's another new TV spot for WRATH OF THE TITANS that shows even more cool unseen footage. This second installment is directed by Jonathan Liebesman and stars Sam Worthington as Perseus , Liam Neeson as Zeus , Rosamund Pike as Andromeda , Ralph Fiennes as Hades , Bill Nighy as Hephaestus , Toby Kebbell as Argenor , Danny Huston as Poseidon, Édgar Ramírez as Ares and hits theaters on March 30th.